What Does ‘Charging’ Actually Mean? First, I want to look at the word ‘charging‘. Over the years I have noticed that the word seems to mean different things to different people. I think it is important to first get clear on what we all mean by charging before I go any further. These are some of the definitions I have found through asking people to define what they mean when they talk or ask me about ‘charging crystals’. To some people charging crystals seems to mean cleansing them. I have seen the words cleansing and charging used interchangeably by a few people. Some people believe that the two things are one and the same. Interestingly, a few cleansing methods are considered to also charge crystals such as using the Full Moon or a Copper Pyramid for example. Can cleansing crystals also recharge them? Others use the word charging to mean infusing their crystals with their intentions. This is a process I prefer to call programming. In many magickal and shamanic traditions charging is a word used to describe the process of infusing spiritual tools with particular energy or specific intention for its use. Then there are people that consider charging to mean infusing their crystals with a special type of energy. If they place a crystal on a stone at a sacred site, it is considered to hold the energy of the location for example. The same applies to things like using the Full Moon, Constellations, Crystal Skulls, Other Crystals, Copper Pyramids, Symbols or a personal Altar for example. 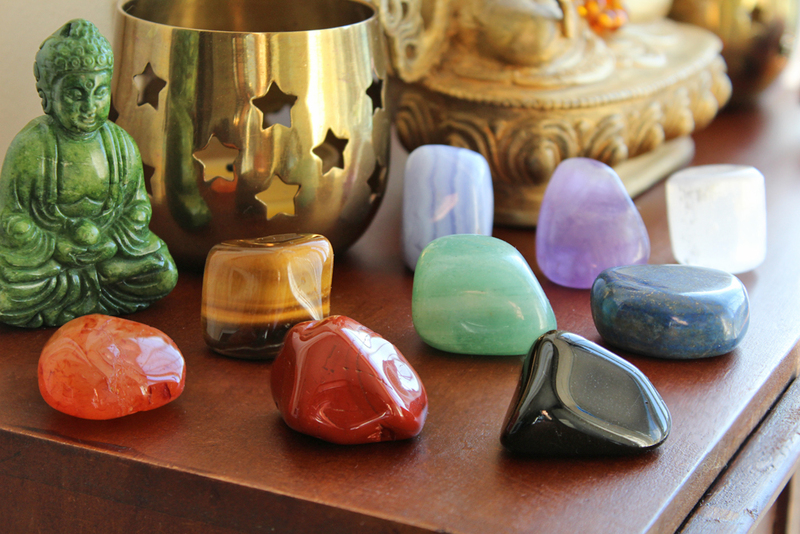 Then there is the most common meaning of the term ‘charging my crystals’ in crystal healing. This is the belief that crystals lose energy over time or through their use and that they need to be recharged. Similar to a battery or any handheld device. The process of charging them may be done in many ways from the Full Moon, using other crystals or a Copper Pyramid for example. So, Do I Charge My Crystals? By charging I am now referring to the last definition, where crystals are recharged similar to a battery. 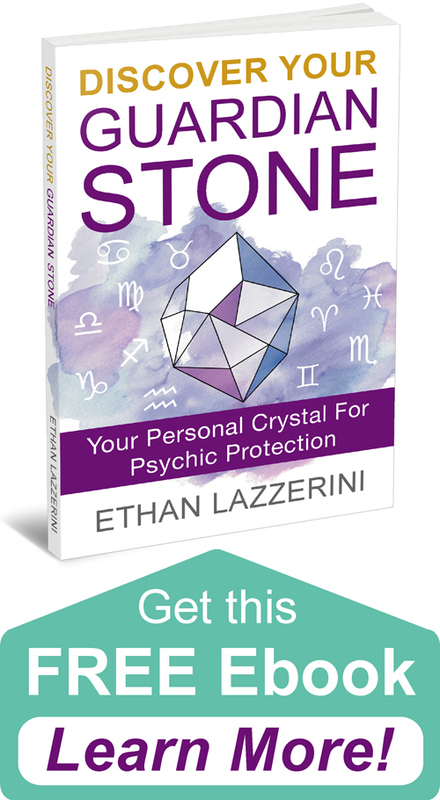 If you have been reading my Beginner’s Guide To Crystals articles on the Resources page or have read any of my books you may have already worked this out. I personally do not charge my crystals and never have… Before I say why this is I want to be really clear. 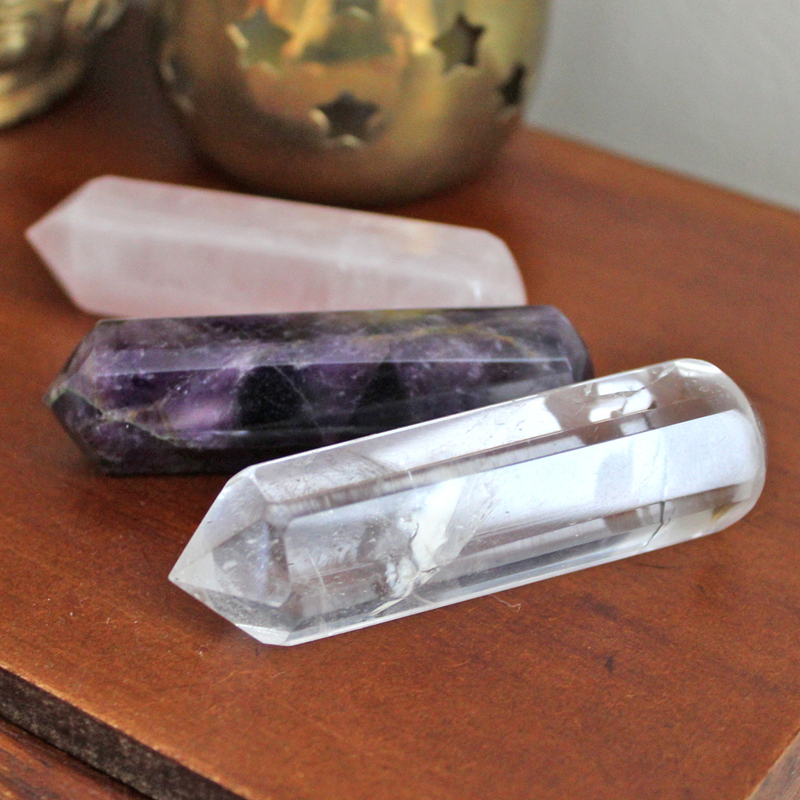 Some people charge their crystals and some don’t, and that’s okay. The crystal community is split into two camps with this and it’s your choice. Which way do you see it? Now that you know which side of the fence I sit, just know I am not telling you to change what you do. I only share and teach what I know and what has worked for me. This article is to help clarify my perspective and explain why I don’t teach people how to charge crystals. If you’re still unsure, perhaps the following will help you make up your mind. These are just my thoughts. Here comes the metaphysics… My feeling has always been that crystals are like crystallised energy or light. They were here long before humans and they will be here long after we are gone. Even though they may be removed from their place inside the Earth, they are still within its magnetic field and aura. They are also connected to other crystals, planets, the Stars, the Universe and the Creator Source. But Don’t Crystals Get Tired? I believe that the crystals we use are tapped into this abundant and infinite energy. Everything in nature seems to go through active and dormant cycles. I think that crystals naturally regulate their energy when needed. This is just like the cycles of the Sun, Moon, plants and the seasons. I have a theory that the idea they need recharging could be because they get clogged up with negative or unbalanced energy. When they are clogged up they just don’t work very well any more. Crystals may feel weak to people because this dense negative energy is blocking them. All this can be easily fixed by stopping their use and cleansing them. This is why I always recommend you cleanse your crystals often. 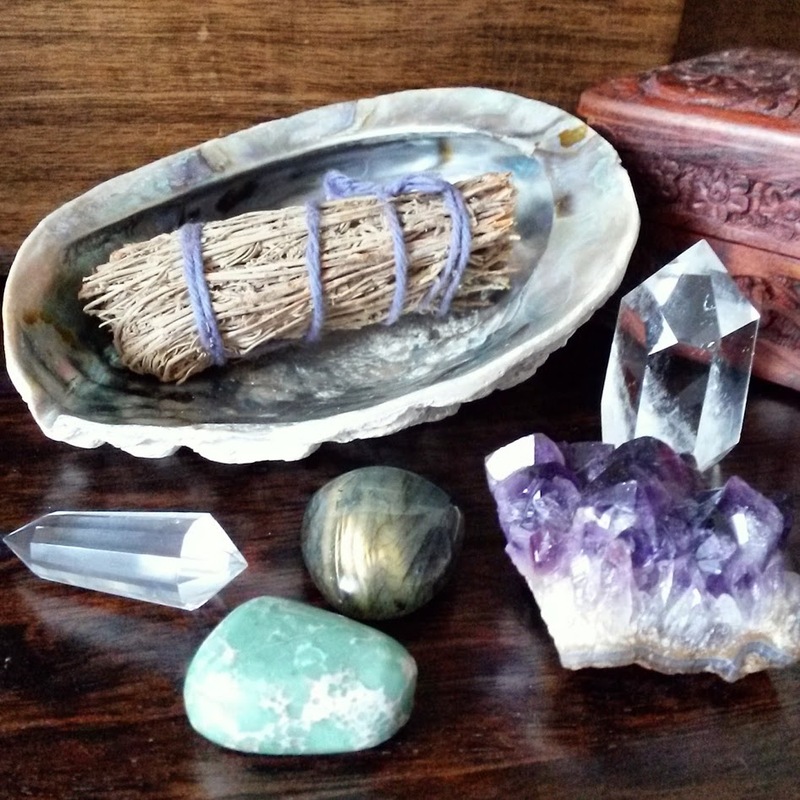 I have always found my Crystals and Crystal Grids always feel bright and energised after any type of cleansing and work really well in my experience. 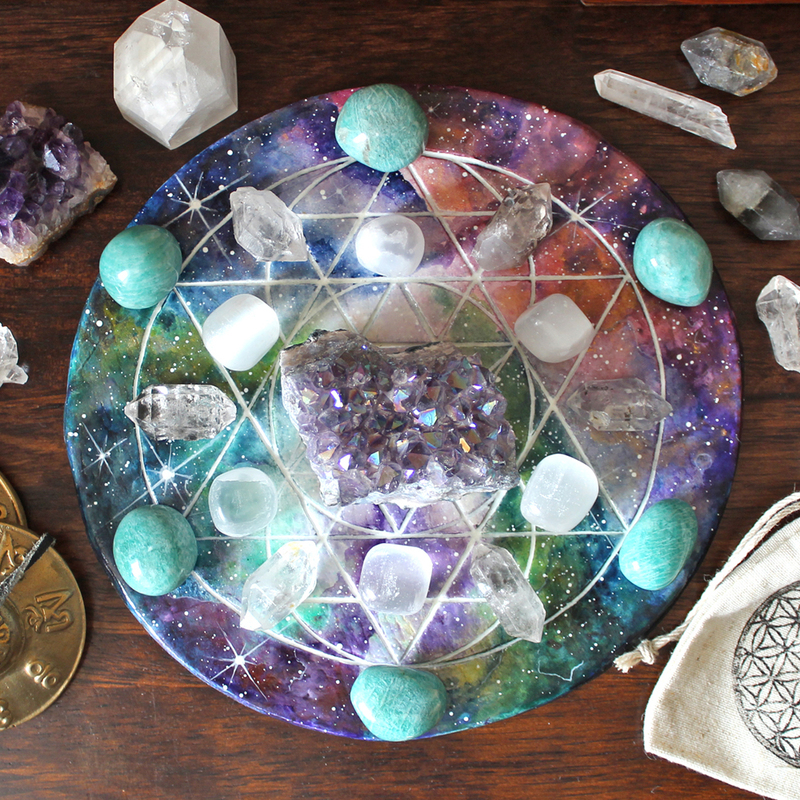 If you look at the popular methods people use to charge crystals, you will notice that many are also cleansing methods. Do you charge your crystals or not? I would love to hear from you in the comments below (please keep any questions you have concise and on topic if you want a response). This is exactly why crystals have to be recharged. The Meru Pyramid, in my humble opinion, is one of the best ways to do it. Do you sell the copper pyramid?? Is it as good as the moon or sage for effective cleansing for crystals? No, I don’t sorry. 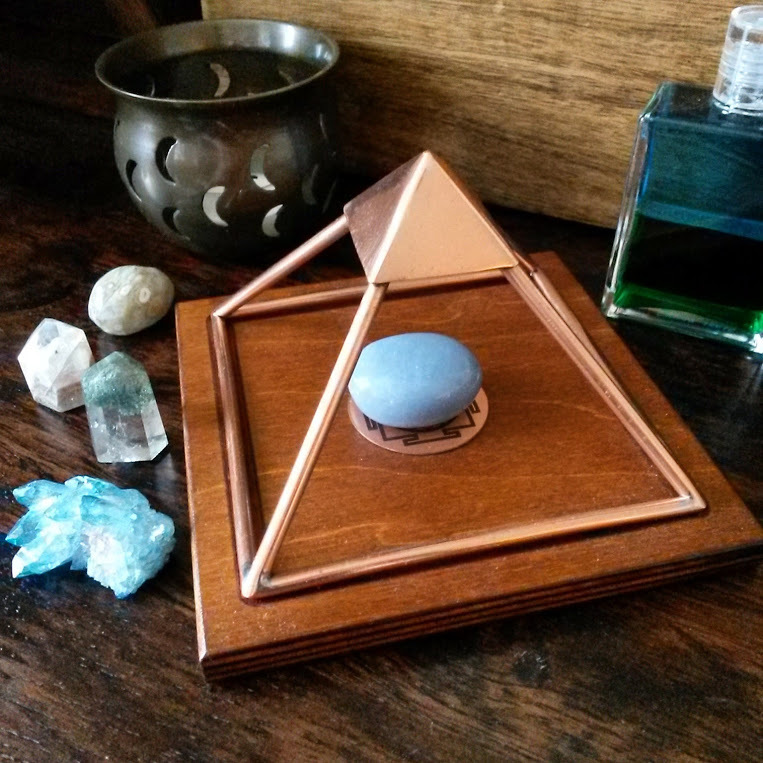 The link to the article on Copper Pyramid cleansing explains more and has links to where you can get them. I use a pyramid all the time but I don’t believe anything is better, it is a personal choice and what works best for you that matters. I’m so confused. Do you or don’t you? I cleanse/charge my gems under the 3 days of the full moon. If by chance I make a wire wrapped stone after the full moon, I’ll smudge it with Palo Santo. And if it doesn’t sell before the next full moon, then it gets placed under the full moonlight. If the moon doesn’t feel right, maybe I’ll cleanse it with sound. The second part you quote is talking about cleansing crystals not charging. I am trying to explain why people might feel their crystals are lacking energy, I think it is just because they need cleansing again. You are right, they are charged n hold more energy n power thn we think or can imagine. I always learn as a child ( growing up in Romania, mountain region), once you take them out of the natural environment, you need to pulsate them a bit n cleanse them from bad energy, via copper. Back then it was copper plates we used . Today pyramids are great for it. If its a full moon I leave them out or connect them to the ground. Thank you for the article great read. Very interesting point about using copper plate. I use copper jug to keep water, an Ayurveda practice. I”m wondering if keeping crystals in this jug will cleanse and charge them? Thank you. I would like to know does the pyramid has to be made out copper? 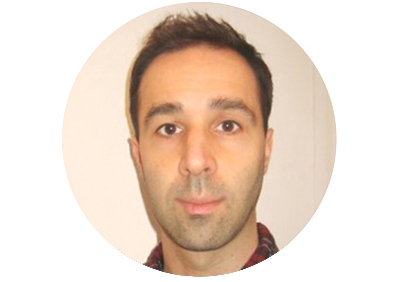 It is considered the most effective by most users and in tests. 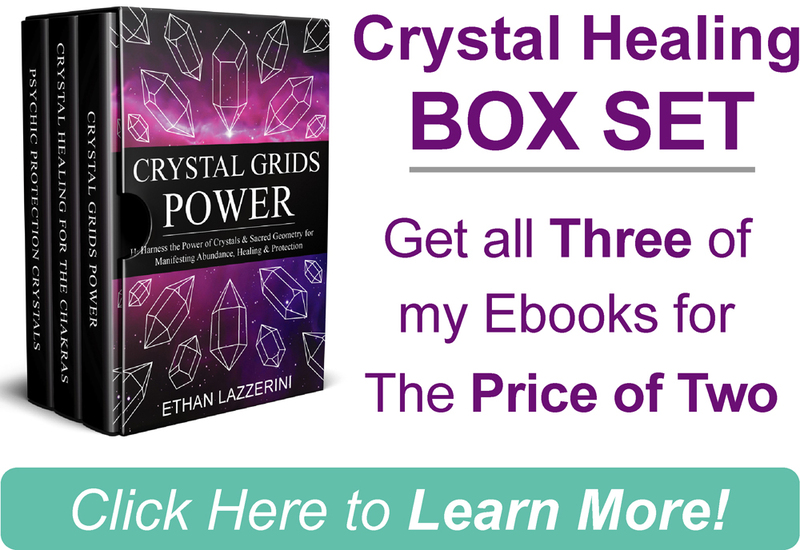 It is a lot cheaper than other electricity conducting metals such as Gold… See my article for more details, Cleansing Crystals in a Copper Pyramid. Hi Ethan I cleanse my crystals with an angel tuner tuning fork it’s a short tuning fork that resonates very high when you activate it I’ve used it for quite a while now and it does a fantastic job that’s what I would recommend for people you can do a lot of crystals in seconds . Hi Ethan. You have been my “go to guy” on crystals since I began using them. I do not charge my crystals either. I do cleanse them either with the full moon or with selenite. Even my dog wears some crystals to protect him. We have a spirit in our house that won’t go away. My dog is afraid of it. If you tell the spirit its dead and go to the light their family is waiting, open a door and say, ” I demand you to leave this house in the name of Jesus Christ”. Repeat this over and over and it will leave. I had to do this at my daughters house. The spirit showed itself to me and we just stared at each other. You could feel its presence everytime we went down stairs. Then when my little grandson also seen it I went over and cleansed her house. It left. or clear them with reiki, these methods works well for me. I don’t charge mine either but regularly cleanse ones I use for intention grids and for meditation and healing (Reiki) by laying them on a selenite chunk or sounding tingsha bells over them. I have made a copper wire spiral which I’ve put under the centre point in a grid, hoping it might amplify the intention of the grid. Do you think that could work please, or interfere with the grid’s energy once I’ve set it up? It was just an idea that came to me. Oh my gosh. I am so glad I found this article. Because we were just having a discussion about this last night as we were cleansing our crystals. I had written out some instructions on choosing cleansing and setting the intention and then realized hey there’s no charging instructions here! But now that I read the article maybe somewhere deep down inside us we knew that they didn’t really need to be charged but just cleansed. And now that I’ve read the article it really resonates with me that, true they are from the Earth and will always be charged and just need to be cleansed of bogged down energy. My friend and I bought wood pyramids. What do you think of those? And does a pyramid have to be cleansed and charged? It said run it under water and then set it in the sunlight for 24 hours and in the Moonlight for 24 hours. This just doesn’t resonate with me or then again am I just being lazy? And how often do you have to charge a pyramid if that’s the truth? I’ve not used a wooden pyramid so can’t really comment on them. I have cleansed my pyramids when I first got them just to remove energies from other people but after that they seem to just work. I don’t charge them, to me the purpose is to generate and channel energies so I don’t see the point.